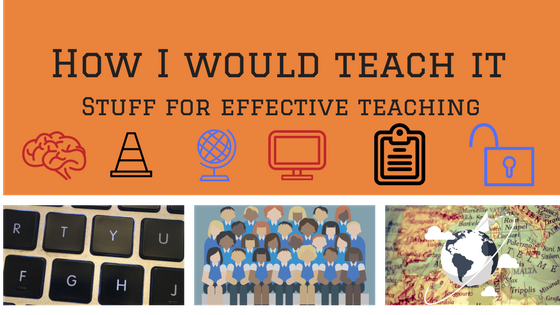 Are you one of those teachers who asks yourself WWLCD? (What would Lucy Calkins do?) Or are you one of those teachers who feels if Lucy said run out of a burning building, you would run back in? Or are you just afraid she is somewhere in her cloud fortress, knitting, drinking tea, and looking down omnipitantly , silently judging you? Many of my co-workers got to be whisked off to the Big Apple to get the training right from Mecca. They returned enlightended, inspired, and with a bright new outlook on writing. By the time I showed up at our school, they figured out this was way too expensive. They hired consultants and forced us to stay two weeks after school ended to learn the curriculum. As a side note this is the worst approach a school can take. It was the end of the year. People had no nerves left. They were raw, and cagey. It was a little bit like uping the torture on a prisioner of war. We sat motionless, taking our training in dutifully, and wondered if all of this was real? Eventually we were released and as fall came, it was true: we would be teaching like Lucy would do…. And its been good. I had been out of teaching since the mid 2000s. I started working in fourth grade; a younger age than I was used to. There was so much to learn. I had been teaching middle school, and the developmental differences are deceptively huge . Lucy gave me the tools to talk about writing. I got time limits on what I could say. I got scripted teaching points, and mentor texts picked out for me. Best of all I could make, (or my school could buy from the massive LC merch machine) nifty gospels called Anchor Charts that summed up what good writers/readers do. I feel I have been doing this for sure. My kids write after the mini lesson. They sign up on a parking lot. They come see me. I ask what their questions areor concerns are. I take that moment to do some teaching/suggesting. But sometimes, when deadlines are approaching., when the most appauling thing a child can find about Japaenese Incarceration was “they had to share bathrooms with other famalies,” I lose it a little. I write all over their papers. I highlight parts of their research for them and ask them to read it aloud, and then explain it for me. I give them sentence starters like” Harvey Milk’s agenda included…” I take them back to their original research even when the due date is tomorrow and find out when and why the Chinese Exclusion Act was repealed . I have them look at passages and write the main ideas, causes and effects, then ask them to explain it back, often leading them to a point or idea. I think I have done what Lucy wouldn’t do. I worry that the gods on Mount Columbia College may be vengeful! So I worry I have sinned. That I have strayed into old ways of just correcting and not teaching. I see posts like this and run for the shadows in shame! But besides craft, sometimes I need kids to learn to learn about what they are writing. I need to teach them about people, places, and events. I need to put in their hands the things that will help them learn indisputable facts, and tell them GOOD WRITERS WOULD INCLUDE THIS IN THEIR PAPER! The kid who was missing the horrors of the incarceration of Japanese Americans figured out on his own that he needed to talk about the bombing of Pearl Harbor first. He also knew he had to talk about American misconceptions about Japanese Americans and Order 9066. But what his writing lacked was the evidence. He knew the bombing was bad, but he didn’t know he needed to site numbers of ships sunk and deaths associated with the fifteen minute attack. He listed a few facts about the conditions in Japanese Icarseration camps, but had to learn that he needed to support it with fining out there were 120,000 people wrongly imprisoned. I taught him about Fred Karimatsu, discussed seeing his daughter speak and hearing her story about finding out from a textbook in middle school that her father had defied 9066 and taken it to the Supreme Court. I found a bio on his foundation’s website and walked my student through some of the harder bits to tweak out the importance of Fred as a Civil Rights hero. I may never know the answer to these questions but now Max knows who Fred Karimatzu is. Teachers steal. We are unapologetic thieves. We are so hungry for the very best things for our students, that we will unabashedly take others ideas, use them, twist them, break them into pieces and parts, and USE USE USE them! No idea, worksheet, or neumonic is safe. But the good news is there is honor amoung our guild of bandits. We all admitt it and thank our lucky stars that resources are things we should all share. Most teachers fall over themselves to help others. There is a reason why your average teacher has three hundred free tote bags: because they need everyone of them to stuff with good ideas from other people! So, recently, when it was time to teach conclusion paragraphs, I did what all good teachers do: I Googled it! At this time we are using Lucy Calkins Writer’s Workshop, but I just wasn’t feelin’ the current lesson on it, so I did a search and found this wonderful post on the topic,. Two Writing Teachers is a cooperative blog that unites a community of teachers through the practice of writing while inspiring and guiding the teaching of a writing workshop approach. It is our hope teachers will create and lead robust writing workshops, which will aid in the development of engaged and literate citizens. So after finding this great resource, all I to do was tweak it a bit. I left out the chapter preview bit as it didn’t fit our current assignmnet. The story of Rosa Parks is familiar. Rosa became a hero for what seems like a very small action but at the time was a huge risk for an African American person: deciding to refuse giving up her seat to a white person. She took a stand,was sent to jail, and became an inspiration for many people in the civil rights movement. Rosa Parks was a Civil Rights hero. She took actions that were not easy or always safe for African Americans at this time. She took action that then got her arrested, but she became famous and an inspiration. I have to wonder, if I were her, if I could have been so brave? If that were you, would you be able to stand up to a white person during segregation? I am glad Rosa showed us that one person could make a difference! Circle a sentence in the introduction and in the conclusion that say the same thing, but in a different way. What was different about the paragraphs? List two examples. A good way to make a conclusion effective is to connect it to today. With a partner, write a sentence that would do that for this topic. Movements likie Black Lives matter could have never happened without the brave actions of people like Rosa Parks. I then review answers, and restate the anchor chart points and release them to compse. Lucy would say I was wasting time by having them pair and answer and reviewing and she may be right. I’ll bank on letting my kids have time to process and think before I have them finish the process. And here is the handout.